Hit The Deck Festival – Nottingham / Bristol 2014 » Patent Pending Return to Bristol & Nottingham This Spring! 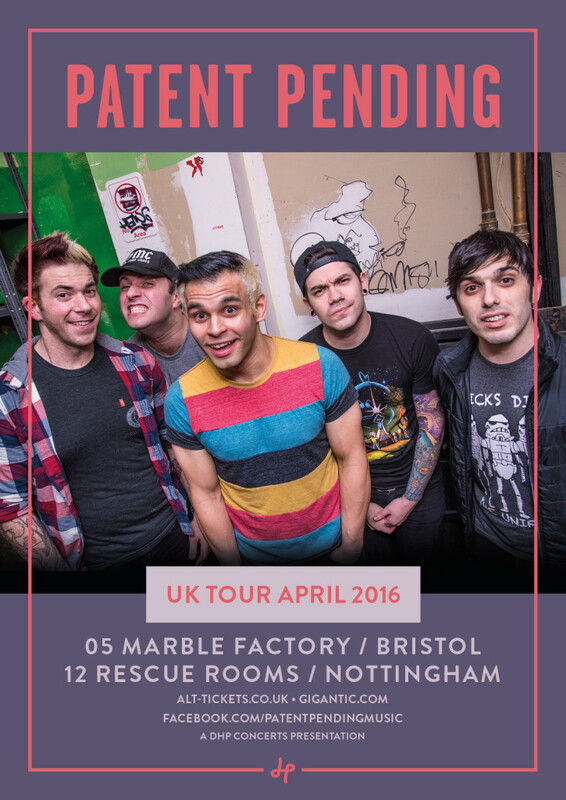 Blog: Patent Pending Return to Bristol & Nottingham This Spring! New York pop punk heroes and 2014 Hit The Deck favourites Patent Pending return to the UK in April, including headline shows at The Marble Factory in Bristol on 5th April and Rescue Rooms in Nottingham on 12th April. Tickets are on sale now through Alt-Tickets.